Find your supplies by researching your top competitors. If you're searching for suppliers, you should already have made a list of products in the niches that you want to sell. 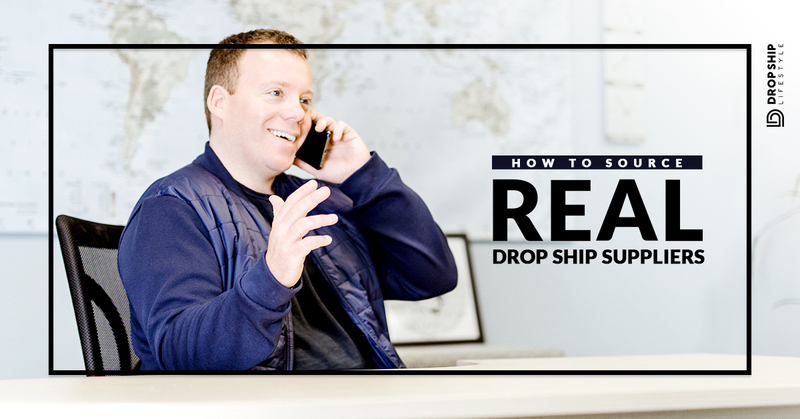 Now it is time to go out, find your future competition, aka Real Drop Ship Suppliers, and decide which niche to start with. What we are going to do here is go online and look for other eCommerce websites who are already selling the products that we have already identified. It is important to do this product by product and to keep good notes so that you do not get lost in all of the information that you will be finding. I recommending keeping notes neatly online somewhere that is easy to access at all times. It is also important to note that we are not going to try to sell all of the products on the same eCommerce store. We are going to research each product type independently and then we pick which niche we want to start with. 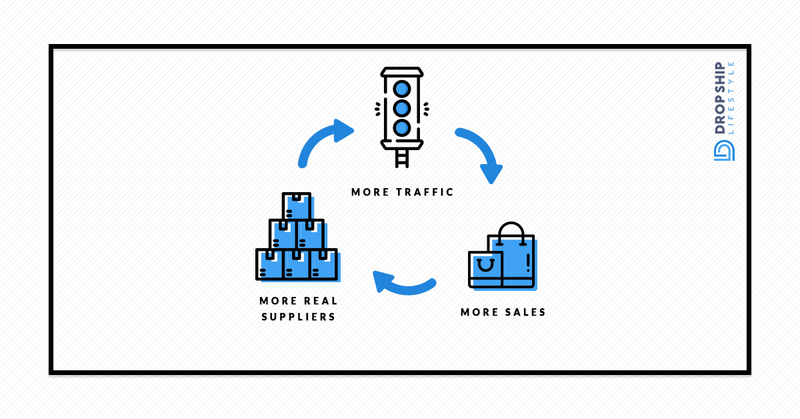 In the future, we can build more eCommerce stores for each other unique product niche that we have identified. We begin by identifying the top 3 eCommerce websites that are already selling the products on your list. I think it would best to describe how we do this with a “real world” example. Let's say the first product you are researching is an “entryway chandelier”. You have identified this as a good product to sell online by using the criteria of how to find a good niche. My first step is going to be to run a Google search for 'entryway chandelier'. I am then going to review them starting from the first result, working my way down, and pick out the online stores who DO NOT have a showroom (those who ONLY sell online). How will I know this? I will go to each websites' “About Us” page and read about the companies. As you are doing this, make a list of the websites that you find that are on page one of Google search results which meet the criteria shown above. At this point, I know these companies sell the products that I want to sell. I also know that they are very popular (page one of Google) and I know they do not have retail locations (because I read the “About Us” page). It is reasonable for me to now assume that they all work with suppliers who drop ship. We are now going to drill down the information one step further. I now want to know WHO my future competition is selling for (who their drop ship suppliers are). The good news is many websites make their suppliers easy to identify. I quickly find a link to “Brands” in the footer of their website. I click this link and find a list of over 400 SUPPLIERS! It’s now time to start my “Lighting Master List” which I will refer to for all possible drop ship suppliers in this niche. I create a “Brands” column and copy and paste all of the suppliers from “Brands” to my “Lighting Master List”. Next, we'll go to the second website on my competition list (lightingdirect.com) and look for a section called “Brands” and/or “Manufacturers” and I quickly find a link that says "View All Brands". I follow the link and find over 100 more suppliers to add to my “Lighting Master List”! At this point, I know I am onto something. I have only just began researching two websites that I want to compete with and I have already found hundreds of suppliers who more then likely drop ship. It is important to note that just because you have now found 500+ suppliers this does not mean that they will all approve you for accounts on day one. However, it is safe to say that you will be able to get approved for enough accounts to build a website that will bring in sales if you follow our advice. Which is the best drop-shipping company for organic food products in USA. Also how to check competitors pricing while selling products on commerce is there any tool ? I’m not sure as we only sell expensive products (over $200). I like the article. Thanks for the share! So I found my niche or so I thought. I’m following your guide to finding suppliers and eCommerce competitors but I’m hitting a road block. After going through several pages on Google researching who is also selling in my niche using the dropship model, I only found 3 (none of which were on page 1 of Google). And these stores are not listing suppliers. Does this mean my niche is no good or that I’m doing the research wrong? Also, researched who is using GOOGLE PLA’s and its very few stores in my niche. Does this mean my niche is not profitable or these products don’t sell? It’s hard to say without seeing the future competitors sites… can you do a reverse image search on Google and locate the their suppliers that way? Make sure to go through our free mini course too!